The way clouds cover the earth has dramatically changed over the last few decades, and what it means for our planet isn't very good. 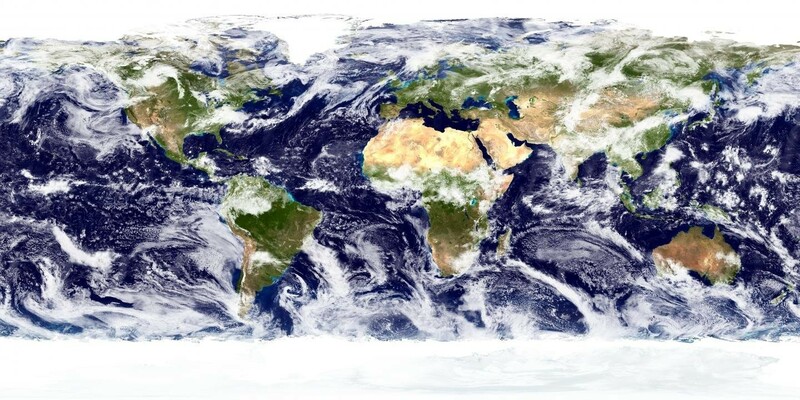 Using satellite data to track cloud patterns since 1983, a new study published in Nature found that, because of climate change, cloud coverage has shifted toward the poles. This has caused the subtropical dry zones — between 20 and 30 degrees latitude in both hemispheres — to expand. In addition, the researchers found that the cloud tops are stretching higher into the atmosphere. Taken together, these cloud changes can accelerate the warming of the planet. Because of the orbital relationship between the earth and the sun, there's more solar radiation in the tropic regions than at the poles, so cloud coverage in these areas is particularly important. Clouds' bright-white nature increases the planet's albedo , or the earth's ability to reflect the sun's energy and radiation back into space. So, without those clouds over the tropics, there will be less reflection and the earth is liable to warm faster. In addition, the rising cloud tops increase their "greenhouse effect," meaning that clouds are now trapping more warm air beneath them. This could also accelerate the warming trend of the planet. While most climate models predicted these kinds of changes, clouds have been notoriously difficult to study because of their shape-shifting nature, and there had been some disagreement between the climate models related to how clouds would be affected. Still, this study is further evidence that significant climate change has already begun, and that future changes could mean more warming than was previously thought. "I guess what was surprising is that a lot of times we think of climate change as something that's going to occur in the future," Joel Norris, a climate scientist at the University of California at San Diego, told NPR. " This is happening right now, it's happened during my lifetime . It was a bit startling."